Dental bonding is a procedure where dental glue, a composite bonding material, is bonded to your tooth. 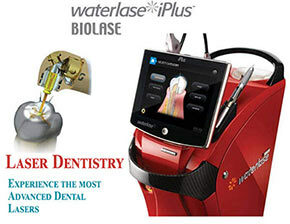 This is done for various reasons such as chipped or cracked tooth repair, reduce a gap, or hide teeth discoloration. The aim of tooth bonding is to ultimately provide a more aesthetically pleasing and brighter smile. 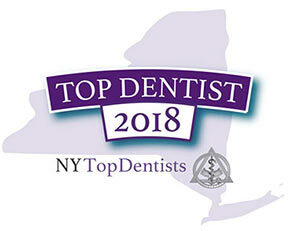 Your cosmetic dentist in Brooklyn was named a top New York Dentist in 2017. Two of the most talented and caring dentists in the city, this father-and-son team perform family dentistry as well as cosmetic dentistry. They’re trained and proficient in dental composite bonding to give you the appearance you long for and the tooth strength you need. Teeth bonding in Brooklyn is a cost-effective and efficient way of covering up cosmetic dental flaws and repairing minor injuries that may have knocked your teeth out of alignment. A tooth bonding procedure requires 30 to 60 minutes per tooth. You should experience immediate results with little or no pain. Due to aging or injury, your teeth can become damaged or out of alignment. When that happens, no matter what your age, you need some professional dental care. Teeth bonding is an ideal solution for a myriad of issues. Your Brooklyn cosmetic dentist makes the bonding teeth material out of durable plastic resin (dental adhesive), often in just one visit. Once the dental resin is applied, the plastic resin bonds chemically to your teeth. If you’re wondering “how long does dental bonding last” – Most cosmetic bonding lasts around three to 10 years. Matching the bonding teeth resin to the natural shade of your teeth improves both the shape and appearance of your smile. 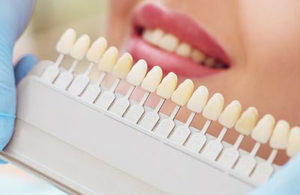 The process for cosmetic dental bonding usually requires very little preparation, and you may not even need anesthesia. Tooth bonding offers cosmetic and restorative benefits that appear natural. Bonding delivers a high satisfactory rate for durability and cost. A thorough cleaning and exam. Consultation to determine your cosmetic expectations and to make sure the process is realistic for your situation. If filling a cavity, removal of the decayed portion of your tooth, usually through drilling. If working near a nerve, your dentist uses local anesthesia to protect you from any possible pain. Your family dentist in Brooklyn then uses a shade guide to ensure the dental resin matches your surrounding teeth. An etching liquid placed on the site of the bonding roughens and conditions your tooth for improved adhesion. Coating the tooth with special dental glue in preparation for the resin. Building layer by layer, your Brooklyn dentist applies the tooth-colored resin until the correct depth is achieved. Your dentist shapes, molds and smooths the resin to match your natural teeth. Using ultraviolet light, your dentist hardens the resin in a matter of minutes. The final trimming, shaping, and polishing completes the procedure. The resin will blend with your surrounding teeth and provides a healthy and comfortable bite. Most natural-looking cosmetic dental bonding procedures require 30 to 60 minutes per tooth. It is completely painless and provides immediate results. The tooth bonding cost, including materials, makes it one of the most affordable restoration processes available. The dental bonding cost ranges between $100 and $400 per tooth, depending on the amount of restoration required. This cost doesn’t cover any accompanying dental procedures you may need. Due to its widespread acceptance and ease-of-use, cosmetic bonding is an often-recommended procedure. Most tooth bonding treatments last anywhere from three to 10 years. Other restoration procedures last longer but are more expensive. 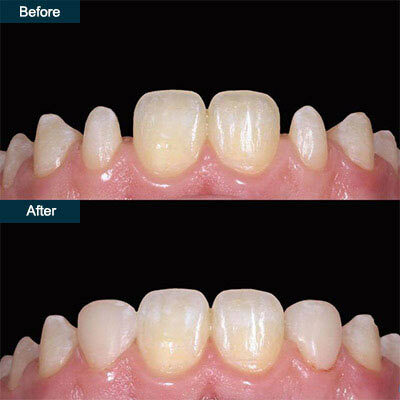 The dental composite bonding material, however, doesn’t resist staining from food, wine, coffee or smoking as well as other dental restoration procedures, such as crowns. Wear and tear does occur, and the bonded teeth may chip away, depending on where in your mouth the restoration was done and your oral care habits. Because of the commitment to customer satisfaction, the best dentist in Brooklyn often chooses dental resin composite as an alternative to amalgam fillings. Amalgam fillings use silver and mercury as the most common filling material. Stronger than resin composite, amalgam fillings are usually recommended for back teeth that endure a stronger bite pressure. Composite fillings use silica and plastic resin to chemically bond the material to your tooth. 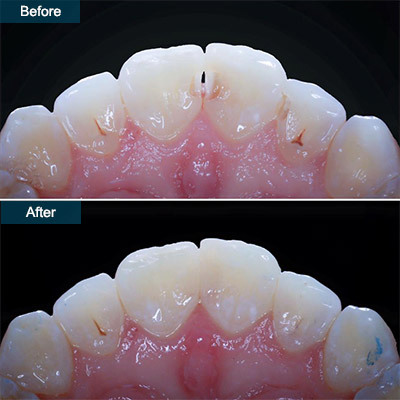 With composite fillings, less of the natural tooth needs to be removed. With the silica and shade matching, this is the most undetectable restoration process. This process isn’t quite as strong as an amalgam filling, and it’s usually more expensive than amalgam options. Cosmetically, the look and feel of the resin composite mimics your natural teeth. Filling and reshaping your teeth works well with this procedure. By considering your budgetary needs, expectations and dental health, your Brooklyn cosmetic dentist can determine if cosmetic dental bonding is the best option for you. Do you have any questions about the Dental Bonding (Cosmetic Teeth Bonding) procedure in Brooklyn NY? 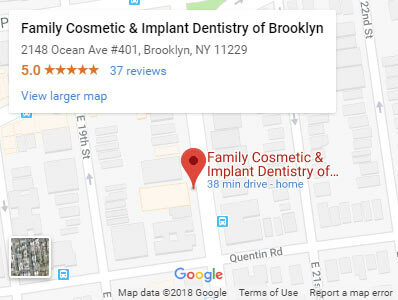 Would you like more information or to schedule an appointment with the best rated cosmetic dentist in Brooklyn Khabensky DDS of Family Cosmetic & Implants Dentistry of Brooklyn? Please contact our dental clinic for consultation with the dentists Alex and Igor Khabensky DDS.